Prior to joining UPMC, Dr. Taylor served as chief learning and diversity officer at Carolinas HealthCare System. In this role, he was charged with driving the transformational culture of the organization through the development of products and services that improved its competitive position in the marketplace. 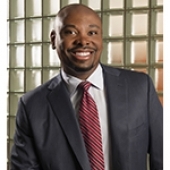 Dr. Taylor has also served as executive director, diversity strategy execution and workplace inclusion at Kaiser Permanente, one of the nation's largest not-for-profit health plans.